Raids of Nohosphere is an online role playing game available on PC. Its visual and audio double interface is designed for both visually impaired and sighted gamers. They can both play on an equal footing. The player roams through an imaginary universe called Nohosphere, a world consisting of the collective unconscious of all peoples of the planet, the abstract place where thoughts and ideas aggregate to form another reality. Thus, the player is a Nohonaut, a sentient being whose actions upon this virtual universe impact the other connected Nohonauts. Rare and powerful creatures dwell in the Nohosphere. They can be captured during epic fights to join the Nohonaut and thus help him to progress through the adventure. 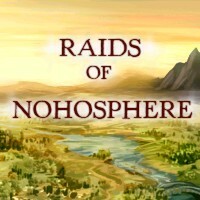 Visit the Raids of Nohosphere website to taste its unique ambience full of adventure and legend! 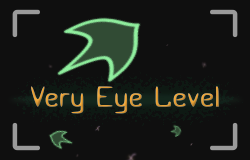 Very Eye Level is a simple game which consists in pursuing moving targets. The difficulty arises by adding extra targets, including false ones to lure the player. The game is the result of a collaboration with martial artists and physiotherapists specialized in rehabilitation of the vestibular system. They both needed an exercise to train peripheral vision. Keeping on sight all the targets at the same time is possible only by using peripheral vision. Memory and movement tracking are also required to make out the true targets from the false ones. Very Eye Pursuit is not a game, but a tool designed for medical use. 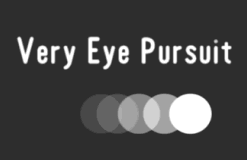 Very Eye Pursuit is a software application for eye pursuit movement specialists. A visual target follows different adjustable movements: linear, circular or random. Speed, size and orientation of the target may be adapted to the patient thanks to simple options.